An apple a day! Cute red button badge. 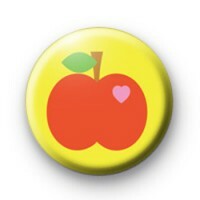 Button badge 25mm pin 1 inch fruit food badge.